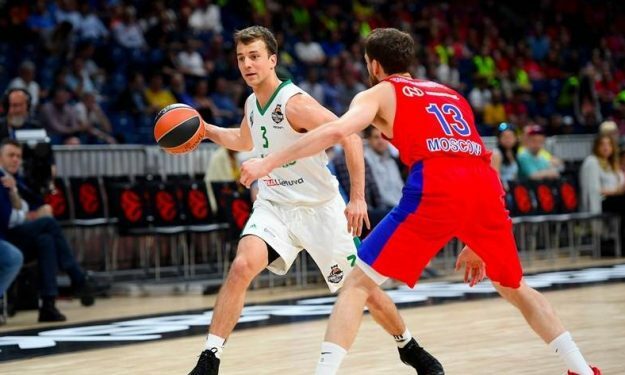 Kevin Pangos and Barcelona came to an agreement as they signed a deal until summer 2020. The talks between Barcelona Lassa and Kevin Pangos came to fruition as the two sides signed a two-year deal, the club announced. The 25-year-old Canadian point guard, who also possesses a Slovenian passport, was one of Zalgiris Kaunas’ leaders last season helping his team reach the EuroLeague Final Four. He also won with his former club the Lithuanian Cup and the Lithuanian League. In 2017/18 EuroLeague, he averaged 12.7 points (47.5 percent three-point shooting) and 5.9 assists in 27 minutes of play which earned him a spot in the All-EuroLeague Second Team.